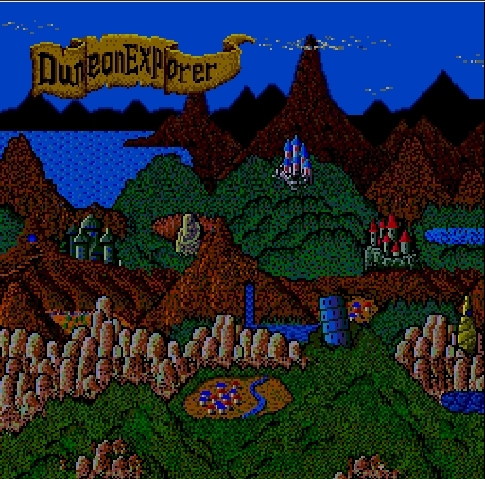 OverviewDungeon Explorer is a top-down action-adventure RPG developed by Atlus and published by Hudson Soft in 1989. Up to five players can join in the quest to recover the Ora stone from the mighty Natas. Dungeon Explorer is on of my favorite Hu Card games. Very similar in design to Gauntlet™ Up to 5 players must (By order of the King) travel the lands in search of the magic ORA stone, (Which grants the possessor the power to rule the world) and obtain it before the Devil gets his hands on it, because he will surely use it to wreak havok on the world. 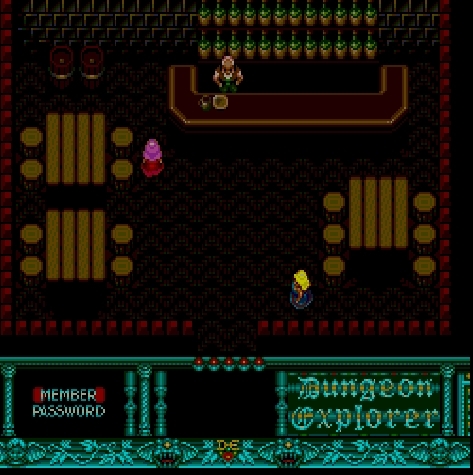 There are 8 characters the player(s) can choose from, each with their own weapon styles. 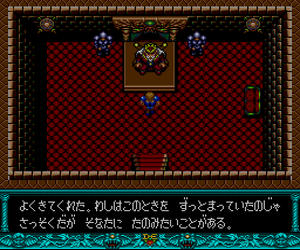 Though the attacks are identical, some characters are overall more powerful than others and some characters are stronger against certain types of enemies. Not all characters fire at the same speed, and their base walk speed and and other stats are varied as well. Along the way, the player(s) also collect valuable potions and power-ups which include boots that allow them to move faster, or weapons that increase attack power. The cool part about this game is that it runs on a password system which allows for the player(s) to continue their journey from where the left off, and also allows them to play through the game as each of the characters if they'd like to see which they like best. 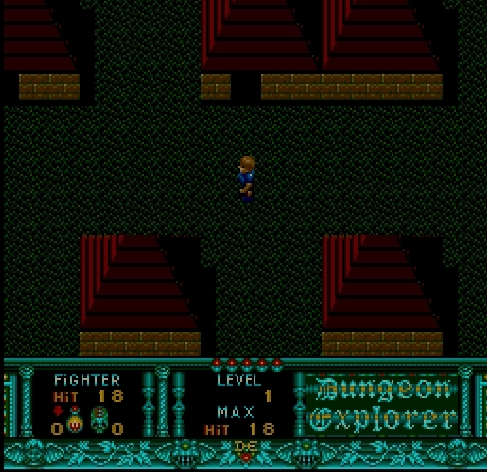 Dungeon Explorer is an action role-playing game, in which you can choose between several characters, thief, Warrior, Elf, Wizard, witch, priest, Bard and gnome. 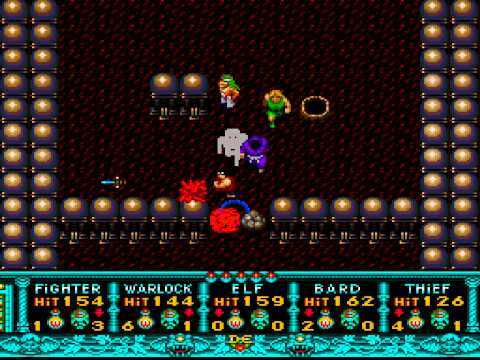 Our objective will be delving into some dangerous dungeons in which we will fight different enemies as we seek the stone Ora. Now you can add videos, screenshots, or other images (cover scans, disc scans, etc.) 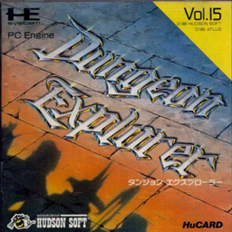 for Dungeon Explorer (Japan) to Emuparadise. Do it now! If you haven't noticed yet, we have a retro game of the day feature (top-right of the screen) wherein we feature a new retro title every single day! Now, you can vote for your favorite games and allow them to have their moment of glory. 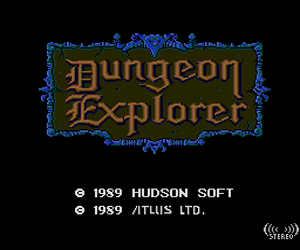 Click on the button below to nominate Dungeon Explorer (Japan) for Retro Game of the Day.